[SatNews] From September 9 -10, 2014, at The Mary M. Gates Learning Center in Alexandria, Virginia, Defense Strategies Institute will bring together stakeholders across the U.S. Military, Government, Academic, and Private Sector to discuss and debate some of the most challenging subjects involved in successfully deploying military communications at the tactical edge at the Military Tactical Communications Summit. Today’s U.S. military services and defense agencies must accelerate the development and fielding of initiatives focused on a networked approach to communications at the tactical edge. While the technical enablers for this concept are rapidly maturing, the operational challenges are quickly coming to the forefront. DSI’s upcoming Summit recognizes that in a field such as tactical communications, where there are multiple agents acting in tandem, it is extremely important that all involved are working towards a cohesive and holistic approach. To this end identifying the parts of the communications process that are the most suitable to maximize efficiency and effectiveness is paramount. “While the field has seen an immense amount of ebbing and flowing, we believe that truly great advancements are on the horizon... and this is why our Senior Partners decided to lend our expertise towards creating a forum that can bring together stakeholders across the continuum of the community,” Lisa Madison, Director of Communications, DSI, said. In order to allow for actionable discussion and dialogue amongst speaker and attendees, seating will be limited. Register now to reserve your seat. Active military and government personnel attend complimentary. SatNews readers receive at VIP discount of 15 percent. 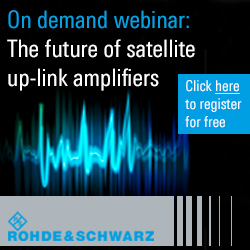 Use code “satnews” when registering. 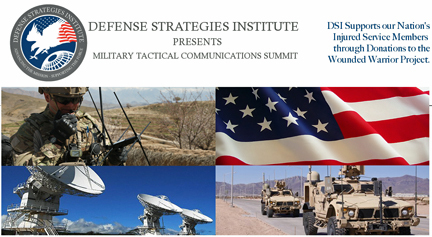 Anyone interested in participating in the Summit can go to Defense Strategies Institute's website at http://www.tacticalcommunications.dsigroup.org/ for more information.